“Moving through grief like it’s a thick drift” this is how Sarah St John describes life since her only child, 22 year old Cully is killed in an avalanche. It is three months since his death. Sarah is trying to reengage with life. 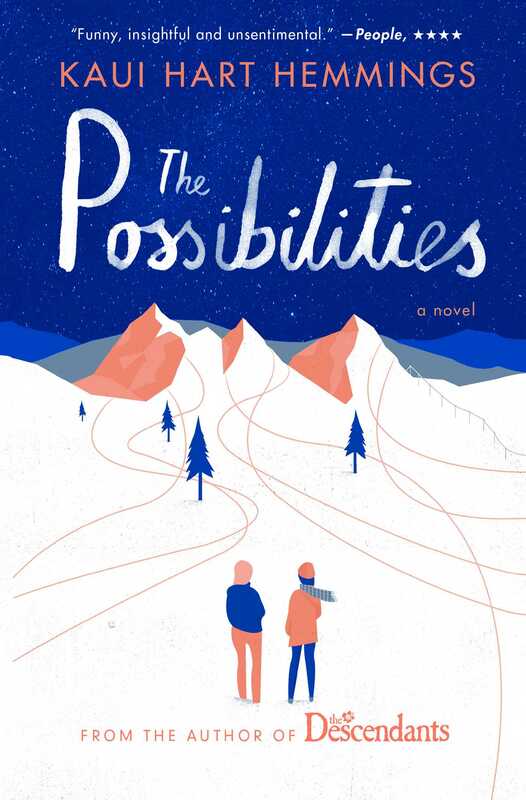 She goes back to work as a television host for the local ski resort info channel but her mind can’t engage with what she is supposed to be saying, her heart isn’t in it. Her recently retired father Jack is living with her. This is a blessing as well as a challenge. Sarah and Jack get on very well but Jack has so much time on his hands that he has resorted to watching and purchasing from the home shopping channel. When returning home from her first day back at work she encounters a girl, Kit, in her driveway. Kit offers to come and shovel snow the next morning after the predicted storm moves through. Sarah uncharacteristically invites Kit inside and tells her father that the she could get started chipping ice off the back deck. Jack and Kit work for a while in the afternoon. Kit returns the next day, by then Sarah and Jack are wondering what this girl is really up to. Kit has a proposition for them that has incalculable possibilities. Sarah’s best friend Suzanne’s husband of many years has cheated on her and although she is devastated, her grief does not compare with Sarah’s. It is difficult for their friendship because they need each other more than they are able to help each other. Sarah’s daughter is a lifelong friend of Cully and they attended the same university. She has arranged a memorial tribute to Cully. Sarah, Jack, Suzanne, Cully’s Dad and the Kit go along. This should be a sad and depressing read but it was not for me. What made me love this writing was the possibilities, not exactly hope but a glimpse into the future. How possibilities allow us to continue to move through life when it seems to have stopped around us. How possibilities allow us to heal, grow and move on even when we aren’t ready. How possibilities can force us to make choices which are far reaching and may not be what we hoped for. That the possibilities make it possible to move on. T has been shot in the street by a white man. Was he armed? Was it self-defence? Why do all the witnesses have a different version of what went down? Very, very good. 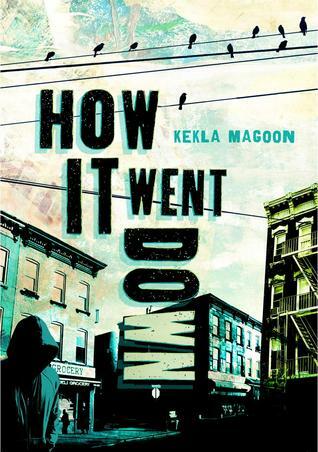 Short chapters, easy flow, hard hitting reality of living in a bad neighbourhood. Either running into or away from gangs. The desperation, poverty, hopelessness is tragic but sympathetically written. You don’t always have a choice whether you join a gang or not. The boys of Peach Street don’t have many choices. It’s either the Stingers or the Kings. The girls don’t have much hope either. This book should draw in reluctant boys 13+ but is a gripping read for all ages. Strong girl / women characters. This is a special book. This is a book about the end of the world as we know it, it is sad, it is depressing, it is violent, angry, sad, questioning, full of guilt, being left behind and the bravery of carrying on in the face of an unlikely future. The difference between this post apocalyptic story and all the others is the gentle nature of the story telling, the humanity in the telling and the hope. Hig is lucky to be alive, but he doesn’t always feel that way. He has carved out a new life for himself at an airfield along with a survivalist and they are in it for the long haul. Hig goes hunting, fishing and flies his plane with his dog Jasper as co-pilot, he is something of a dreamer. He hears a voice on the plane radio and after much consideration decides to fly beyond the point of return, not enough fuel to get him home, in search of something more. What he finds isn’t what he expected but it does open up the opportunity of a future of some kind. I give this book 5 stars, I also felt highly about The Road by Cormac McCarthy and as it says on the cover of my copy “like The Road – with hope”. That sums it up for me, compelling reading that isn’t bleak yet set in a bleak time, a special combination. A children’s holocaust story. Not something that everyone could write about, yet the author of the funny boy books titled Bumface and Toad Away has told Felix’s story in a compassionately readable and well informed way. Felix is a Jewish boy in Poland during WWII, his parents have done their best to keep him safe but as circumstances change he ends up fending for himself in a hostile world. He rescues Zelda, a younger girl and their adventure takes realistic turns for the worse with tiny bits of hope along the way. 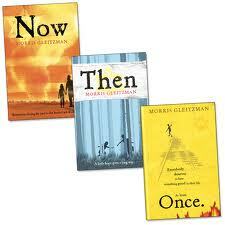 Felix’s life story is told over the four books. He is a boy to be admired as his terrible war life is endured. 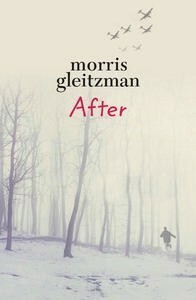 Morris Gleitzman has presented a story we can read, and not forget. Somehow filled with hope in a hopeless time. Recommended to readers Year 6, 11+. Anyone who would have read The Diary of Anne Frank will be absorbed in this series. 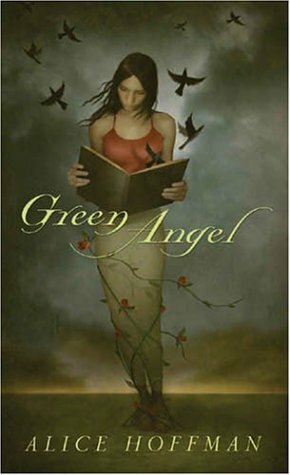 Green is on her own, the world is ash around her and her family is gone. This apocalyptic story engrosses my readers (12+). The girls especially like it. While it is a slim book it gives the reader a lot to think about. Because it is a slim book more are willing to try it. I once I read this review on Goodreads I realized that I could never do a better job of explaining the nuance of this book. The challenge is to blog every day for a month. While this blog is about the books, not the writer I think the idea will help make it more relevant, if there are more books on it to tempt the reader. So I’ll start today and highlight the top 31 book in the library in no particular order and why I think so. Starting with two today because it is the second! From Mrs Salter- I loved this book and it rarely fails to please my customers. I have a much better understanding about how it must be to live in a country where you do not agree with your government but to stay alive you must appear to. The hero’s in this book are people who protect others at risk of their own death and those who try to give children a childhood in a time of death and destruction. I always wondered how life could go on for you if you are living in a war zone, in this book they are and they do it bravely and ordinarily, with no fanfare. This is a rare, compassionate book with the unusual twist of being narrated by death’s agent the grim reaper who amazingly is portrayed with a conscience and thoughtful, even commenting on being overworked during war.